A 2006 movie called The Peaceful Warrior recounts the story of a gymnast who suffers a devastating motorcycle accident after which he is told by doctors that he would be lucky ever to walk again and cannot possibly continue his career. The gymnast, however, surprises the doctors, his coach and the entire world by doggedly retraining himself and eventually going on to the Olympics, thanks to a kind of mental training and discipline which he receives from a mysterious figure he names Socrates, played in this film by Nick Nolte. Amazingly, the substance of this story is true and is based on the life of Trampoline athlete Dave Millman who suffered a crushed femur in 1968 and—against all odds—came back to become a champion in his field. Socrates, instead, is a fictional character who seems to be loosely based on Carlos Castaneda’s Don Juan. In fact, the philosophy of The Peaceful Warrior very much resembles the outlook and training of a warrior which Castaneda describes in 12 volumes published between 1968 and 1999. In 1976, Castaneda’s veracity was attacked by Scientology propagandist and freelance writer Richard de Mille, (nephew of Cecil B.) 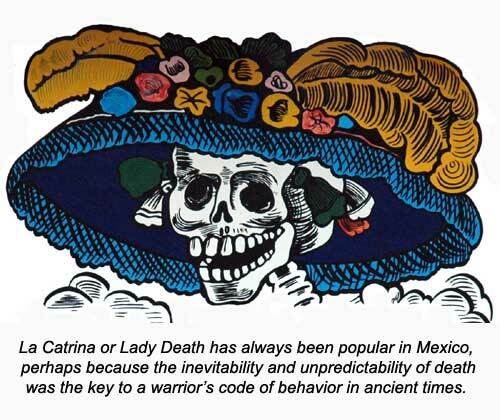 who established a timeline for several of the early books, pointed out numerous discrepancies and concluded that Castaneda’s writings were fiction. As a lifetime writer of non-fiction, I found de Mille’s arguments most interesting. I often write about places like hard-to-reach caves, crater lakes, bubbling mud pots and such, which most people have never visited. Before putting anything on paper, I may go to sites like these several times and perhaps even camp there. When I finally sit down to write an article on one of these sites, I inevitably merge numerous visits into one and frequently “quote” my friends, informants and the local people we met, using words that I think capture the essence of what they said, but which don’t exactly display the accuracy of the Nixon Tapes, for example. By De Mille's criteria, most of my articles are now fiction! I have also written a number of technical reports over the years and I can assure you that these make far less interesting reading than the narrative form, that very same style of writing employed by explorers and observers like Richard Francis Burton, Henry Morton Stanley, Bernal Diaz del Castillo, Thor Heyerdahl and T.E. Lawrence. I’m afraid that neither my writings nor the writings of these celebrated authors could ever survive the nit-picking criticism of a de Mille, especially The Seven Pillars of Wisdom, which Lawrence was obliged to rewrite from memory after his original manuscript was lost. Shall we then conclude that A Personal Narrative of a Pilgrimage to Al-Medinah and Meccah, How I found Livingstone, and Kon-Tiki are fiction? I note that Castaneda’s professor at UCLA, highly respected archeologist and anthropologist Clement Meighan, said the following about Castaneda in 1989 (thirteen years after de Mille’s attacks): “I had absolutely no reason to think and I still don’t think that he was faking it… I know this stuff is authentic. I know he got it from an Indian.” Perhaps de Mille has committed the classic sin of throwing the baby out with the bath water. 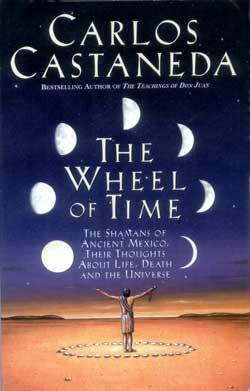 As the years pass, other writers—such as Miguel Angel Ruiz, who was raised in Mexico by brujos, have appeared on the scene to describe the philosophy of Mexican shamans in terms that mirror the thought-provoking quotations in Carlos Castaneda’s Wheel of Time, lending support to the contention that these words do indeed offer us an insight into a well-thought-out philosophy that some day may be considered Mexico’s most important contribution to mankind’s understanding of itself and the universe.